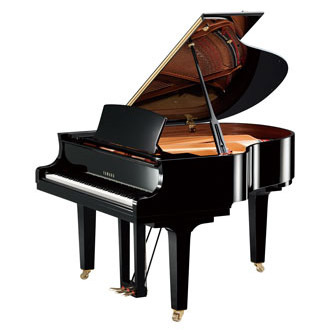 The Yamaha GB1K (5' 0" Grand Piano) is Yamaha's most compact and affordable grand model. Offering a full resonant tone comparable to that of many larger pianos and a smooth, responsive action, this 5' 0" grand piano from Yamaha is a beautiful instrument and an excellent value. Available Finishes: Polished Ebony, Polished Mahogany and Polished American Walnut.